2016 built chalet with large south facing terrace, large garden and wonderful views. It is relax in the sauna after a day of hiking or skiing. 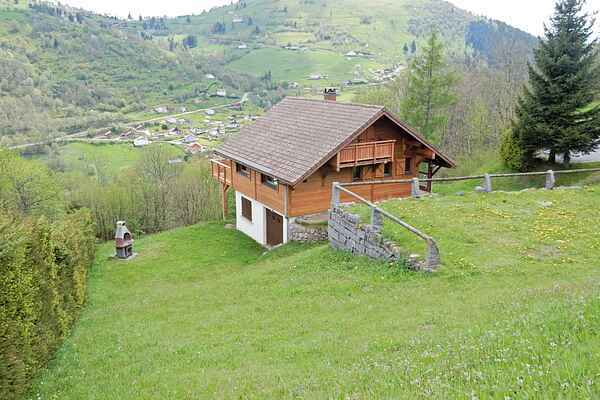 This modern chalet has a fine location with great views (700 m) and only 2 km from La Bresse. An adventurous day out? There are many cycling and walking routes. Descend into the summer track with the bike. Part of the ski slopes of La Bresse Hohneck be used in summer and downhill slopes to mountain biking. You can choose the descent level. The Adventures Parc Bol d 'Air is worth Here you will find activities for the whole family.. Hanging bridges, zip lines, climbing nets ... Fun, sensational and sports for all ages also have you in La Bresse 2 Tobogganing Go to Gerardmer (approx. . 12) take a walk around and more and have lunch at one of the many cozy restaurants. a day on the water? Lac des Corbeaux is 5 km away. also in the Lac de Blanchemer (about 7 km), you can also swim. At the Lac de la Moselotte you can also rent a canoe or pedal boat.